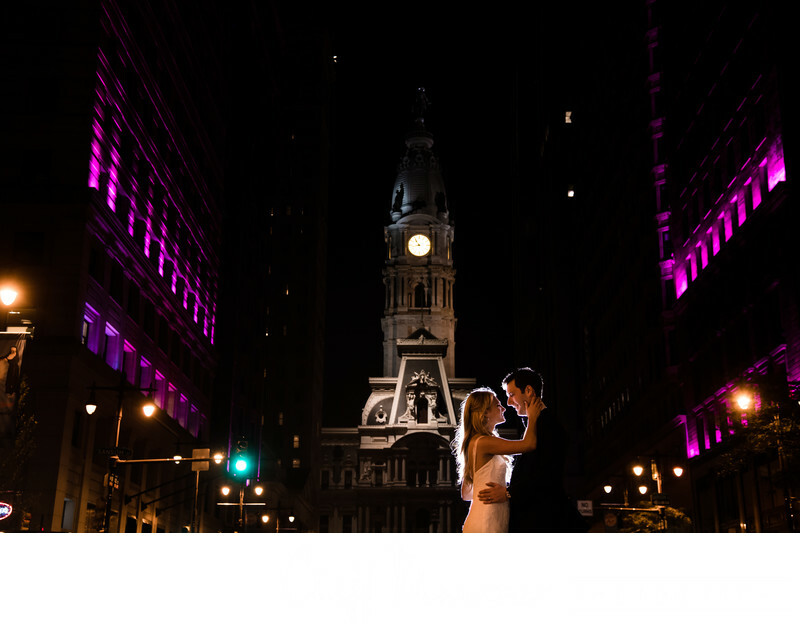 Without a doubt, when couples choose to have a Ritz Carlton, Philadelphia wedding, they’ll be provided with a top notch, luxury experience that the Ritz Carlton brand consistently provides. 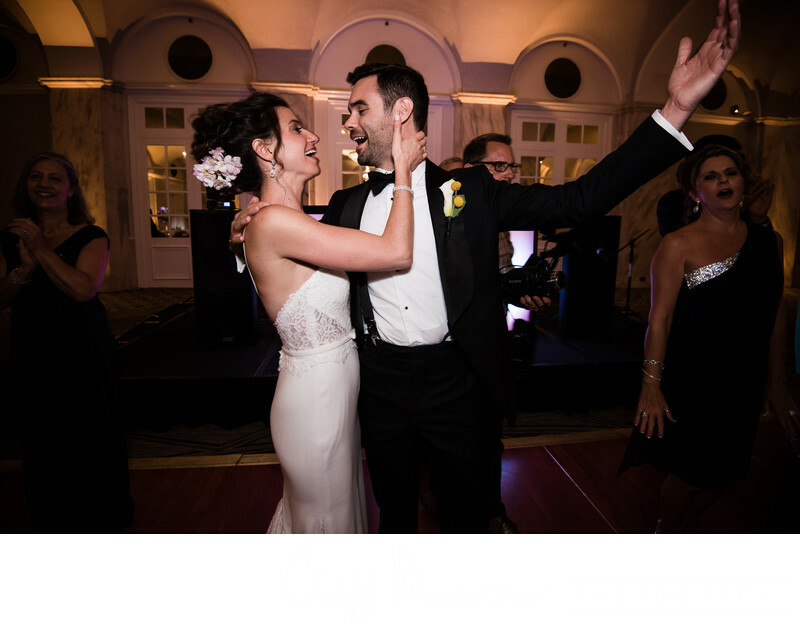 The 101-foot dome building stands in the heart of Center City, previously as an iconic bank and now as a dazzling venue for weddings and other celebrations. This unique landmark hotel originally was built in 1908 as a reproduction of the Pantheon when it opened as The Girard Trust Company. This is a building where Neoclassical Roman architecture meets modern luxury. The Ritz-Carlton’s stately rotunda building is built with 9,000 tons of Georgia marble and the original dome architecture was once the largest dome in the Western Hemisphere. Within its interior, a good portion of the marble is from the Italian Carrera quarry, the same location where marble was mined to create Michelangelo’s statue of David. 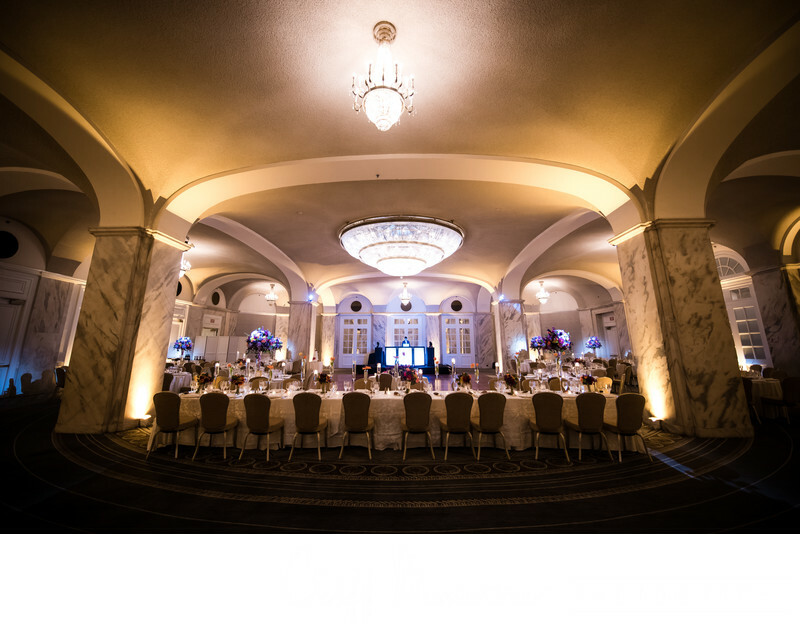 This elegant hotel which went through a renovation and reopened in 2016, offers two ballrooms as wedding venues that include a 3,075 square-foot Petite Ballroom and a 6,100 square-foot Grand Ballroom, which is located in the building’s concourse level and is the centerpiece of the hotel that holds up to 600 people. 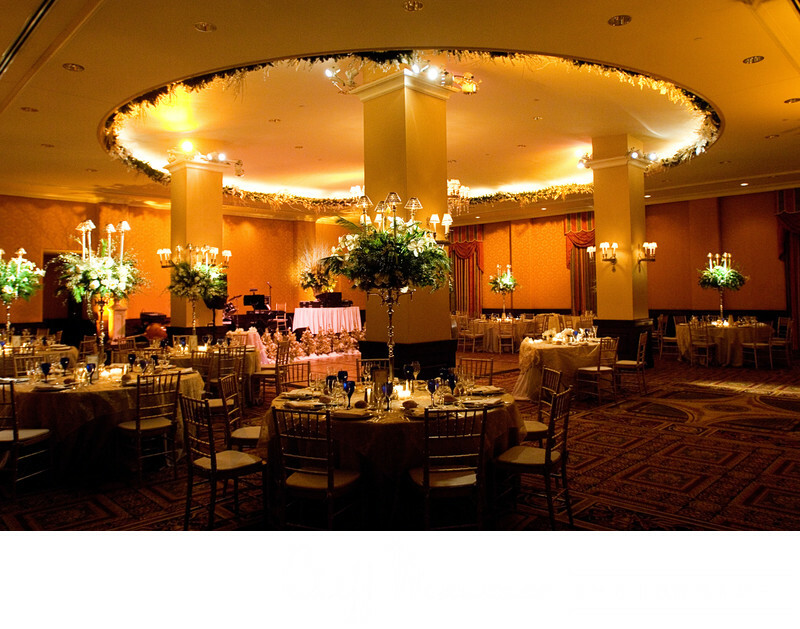 Generally, cocktail receptions are held outside the Petite Ballroom on another level, and then ushered down to the Grand Ballroom once the reception is going to begin. 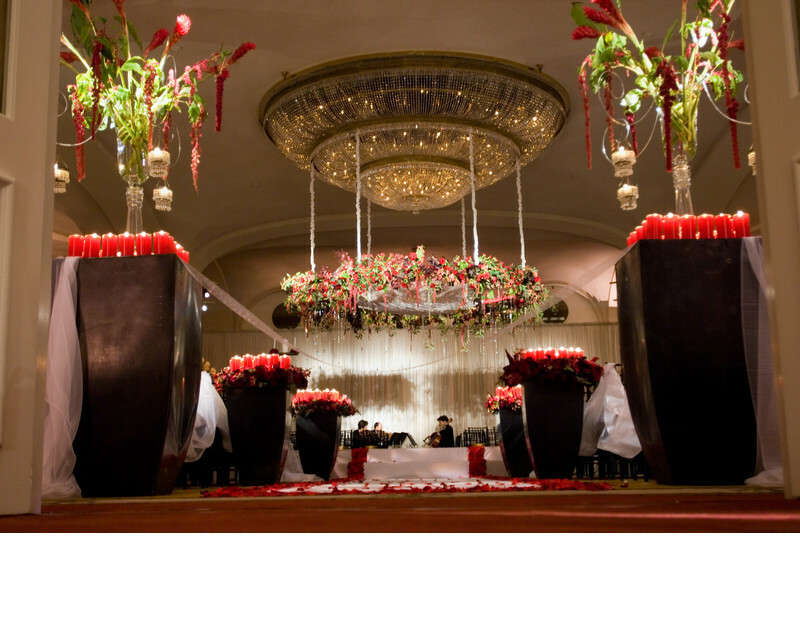 Ritz-Carlton Philadelphia weddings offers couples and their wedding parties a chance to view the sky through the Grand Ballroom’s large crystal chandelier, into the ceiling and oculus and through the top of the rotunda in the lobby. When couples enter the building, they are greeted to a large lounge area with walls encased in crystal, giving it a bright aura. 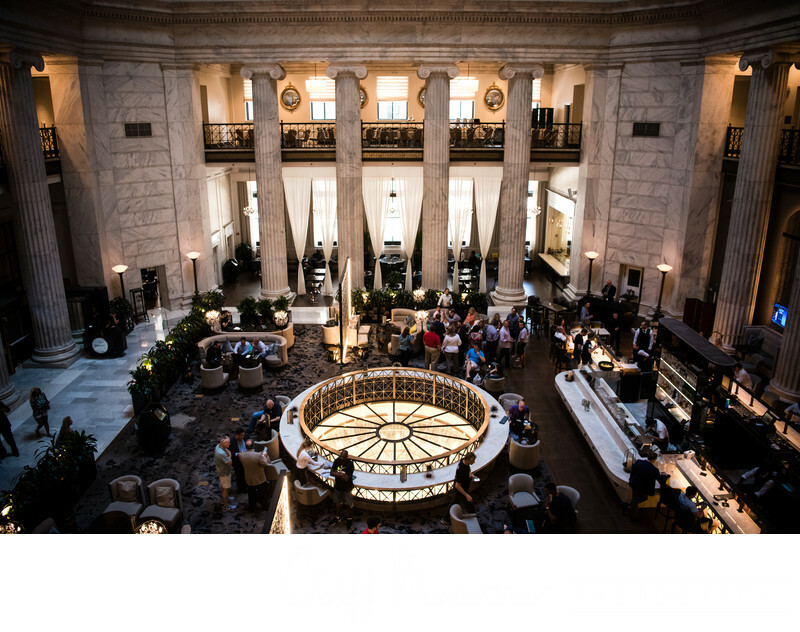 Each of the pillars found throughout the lobby of The Ritz-Carlton were set into place by horse and pulley in 1904.The bank’s original oculus, which was used for bank tellers to conduct money transactions, remains intact but they are covered by a glass was that’s surrounded by a bar. The Ritz Carlton also has tremendous views of the city from it’s upper floors. 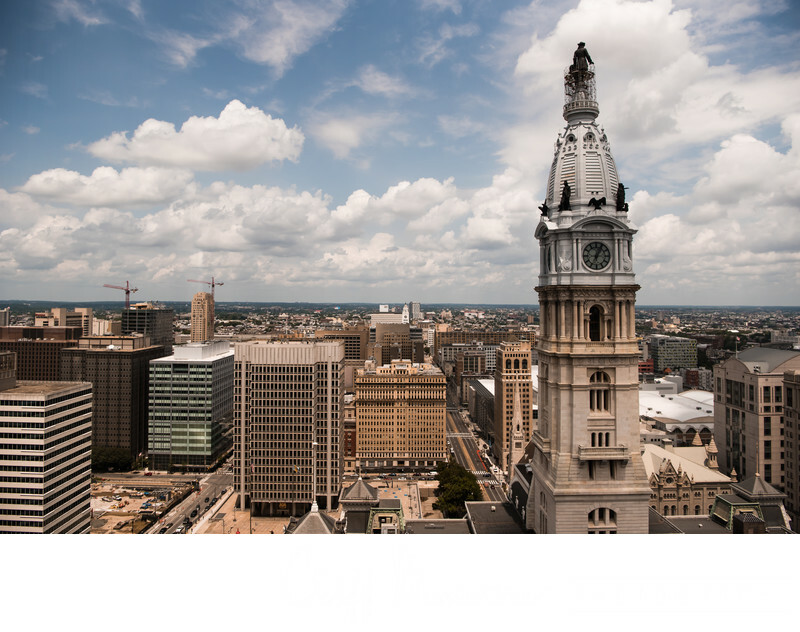 The top floors boast spectacular views of Philadelphia’s City Hall, and the south view allows you to see all the way to the sports complex miles away. The original bank vault now is a luxury function room for those brides who are looking for an unusual ambiance to hold their wedding party. One unique feature is the stairs that lead into the Grand Ballroom, which previously was the bank vault. These stairs were built for ladies who wanted to make an entrance into the vault to retrieve their jewelry for a weekend social event. This staircase leading to the vault is warped on the banister side, where early nineteenth-century women used to accommodate their flowing dresses while walking up and down the stairs. For couples who also are looking for an upscale place to hold their wedding celebration, The Ritz-Carlton boasts a romantic setting with crystal chandeliers, historical settings and silk-covered walls. 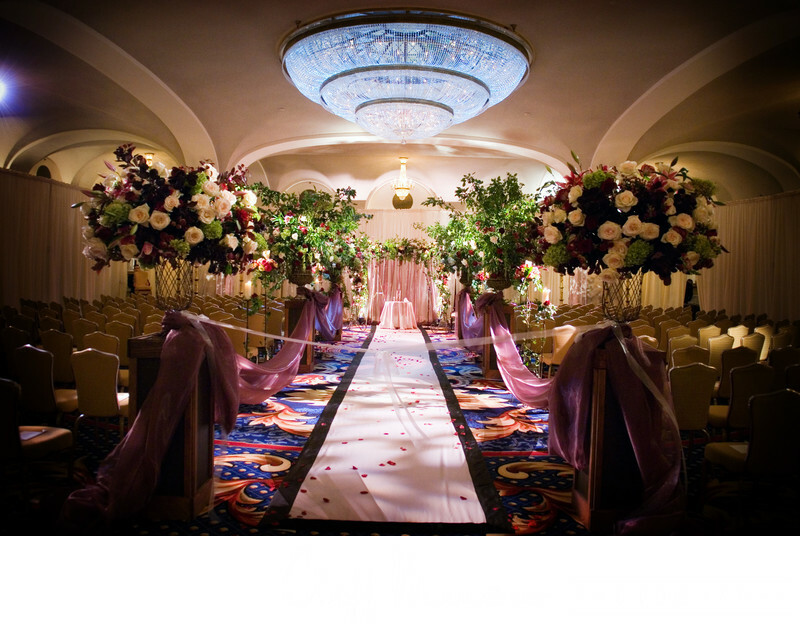 They also can choose smaller rooms for a ceremony.